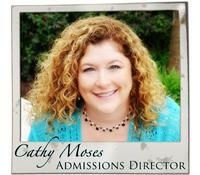 Thank you for your interest in East Cobb Christian School! I honestly believe that we have something special here, and I am delighted to share that with you. As the mother of a child who currently attends ECCS and two children that have graduated from ECCS, I can speak from personal experience about the amazing approach the faculty and staff take to reach the hearts, souls, and minds of our children for Christ. In the same vein, I can speak as a former teacher in both Christian and secular school systems, that the Charlotte Mason approach toward education is one that uniquely equips our children to become high-level, critical thinking students who love to learn. The students at ECCS are active in their communities and prepared to enter the rigors of high-school life with a solid academic and spiritual foundation. "What makes your five-day abbreviated class schedule for grades K-3 unique? I love answering these questions and more. My heart’s desire is that every interested family fully understands all the amazing components of East Cobb Christian School. ECCS is truly something to be experienced, so please do not hesitate to contact the school office for a tour.